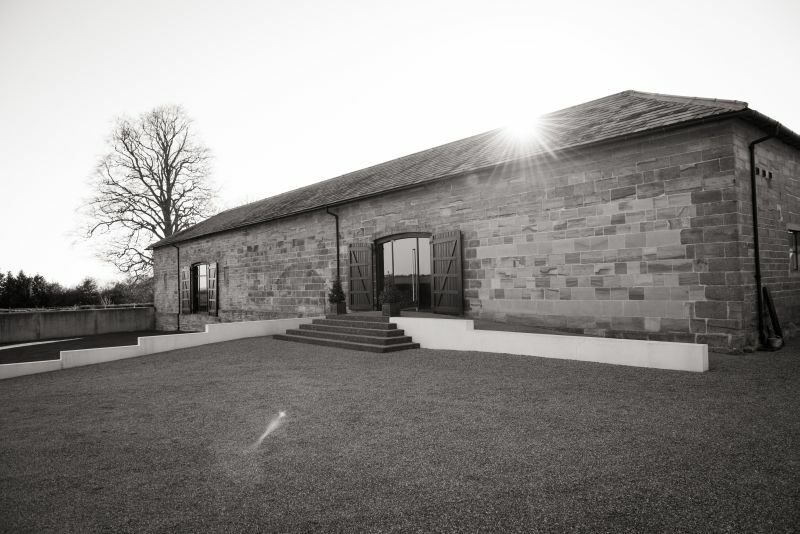 At Hendall Manor Barns we offer the opportunity to hire our beautiful barn on a dry hire basis for all kinds of events, from weddings to charity gala dinners and private birthday luncheons to creative workshops and courses (to name but a few!). Once the venue has been booked, then it is of course time to think about the catering. As this is likely to be one of the biggest expenditures for your event, we believe it is important to get it right. 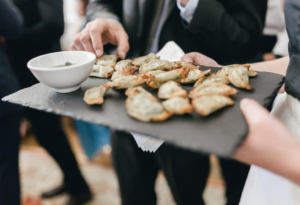 One of the many benefits of a dry hire venue is that no event need be the same, and your chosen catering options can be unique to you, your event type, requirements and budget. With this in mind, we have a fabulous yet concise list of highly experienced and professional approved Caterers that we ask you to choose from; suitable for a wide range of budgets and menus and, as we do not charge corkage, you can really make your event your own. This brings us nicely to this month’s ‘supplier of the month’; one of our fabulous approved caterers Elizabeth Caton Food and Wine. Lizzie and her sister Charlie have been catering here at Hendall Manor Barns since 2012. They have an excellent reputation as wedding and event caterers across the South East and London and we wholeheartedly concur with them that, regardless the nature of the event, the food must always be a celebration! They are hugely passionate about food and grow a lot of their own produce, such as fruit, vegetables and herbs from their own kitchen garden at their home in Isfield, East Sussex (a short 15 minutes away from Hendall!) They pride themselves in their use of local, free-range and/or organic products, something that we certainly feel is a benefit, not only to our local community, but also farming in general. What ever kind of party you’re looking to have, Lizzie and Charlie will impress your guests with their food, service and professionalism and will work closely with you in the lead up to your event to design a menu that will excite you and your guests. 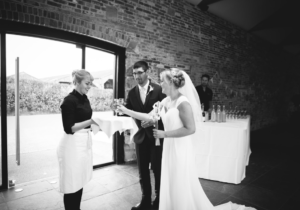 As well as providing the food, they can assist with crockery and cutlery hire, linen requirements, advice on which wines to serve throughout the event and much more. They bring with them a hard working and presentable team of waiting staff, all of who are fully briefed in readiness for the event to commence. We highly recommended Lizzie and Charlie and look forward to seeing them here many times this coming year.